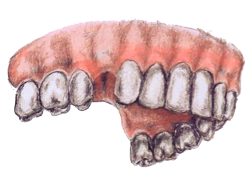 When a single tooth is missing developmentally or rendered hopeless due to decay or trauma, the tooth can be replaced with different options which have been studied and evaluated. 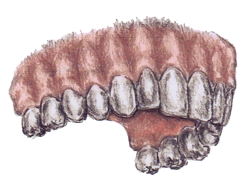 Includes review of X-ray films, space requirements, occlusion, and medical/dental history. 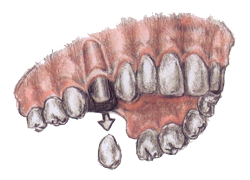 Extraction of hopeless teeth with immediate or delayed placement of bone graft. Temporary crown provided depending on the circumstances. The implant is allowed to integrate with the bone which can take from four to six months before proceeding to the next step. 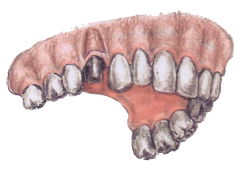 An impression is taken of the implant as well as the neighboring teeth to capture the spatial relationship of the area to be restored. Attachment of the new implant-supported crown with or without an intervening supporting abutment on to the implant. Not sure if implants are right for you? To see the alternatives, click here.